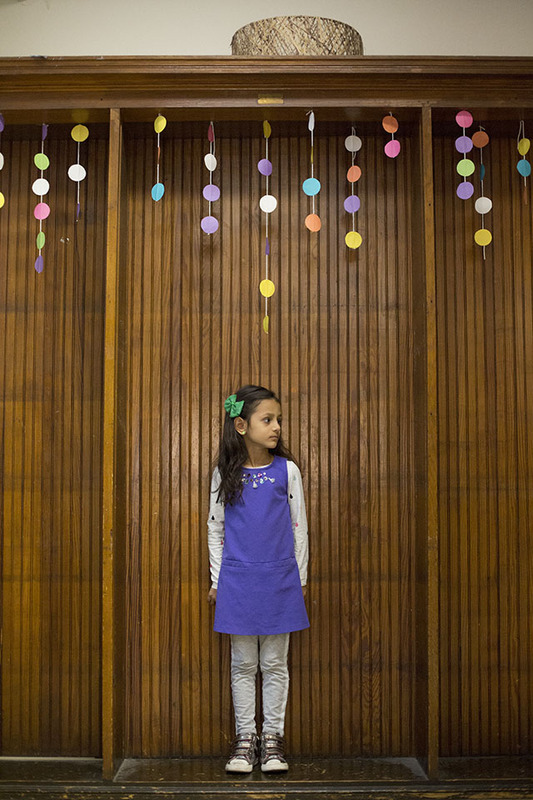 More than a dozen kids describe how it feels to prepare for a school shooting. 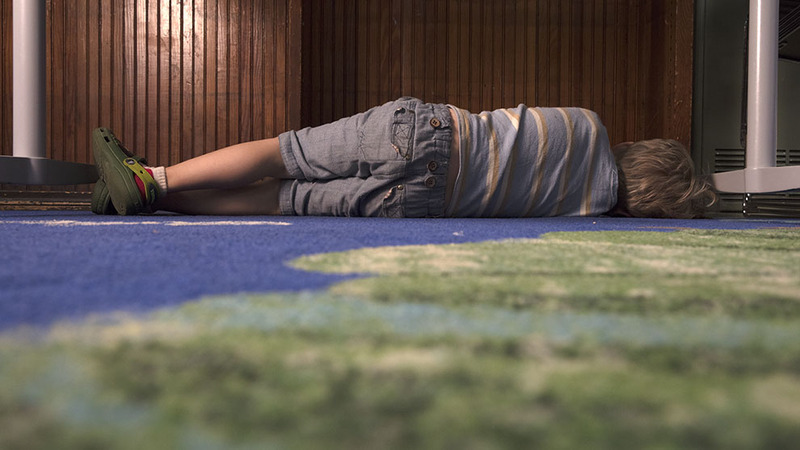 Lockdown drills have become the new normal in America’s schools. 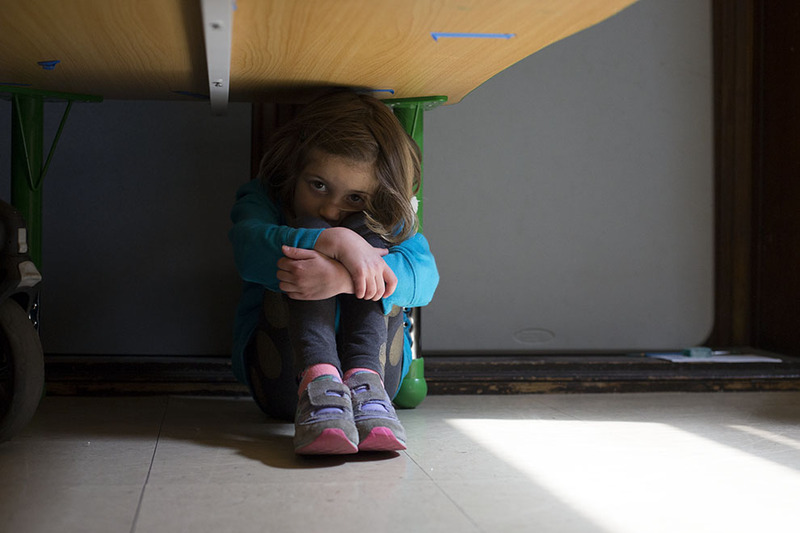 According to a recent survey from the Children’s Defense Fund, fear of a school shooting is the second most common worry after bullying for kids between the ages of 6 and 17, and the third most common worry for parents. Some people think it’s a little scary. Some people wear those red headphones because it’s really loud. It’s kind of like if a stranger comes in and he has a gun or something, and he wants to kill somebody, and you have to hide and lock every door so they won’t come in and kill you. Because he’s an assassin. In one class, we usually have space in the closet, so we hide there. We turn off all the lights, we lock the doors, and we need to hide making no noise. In our other class, we’re not allowed to hide in the closet, so we just stay there on one side of the room where they won’t see us. It feels kind of scary because if someone comes into your school trying to kill you, you could actually die. 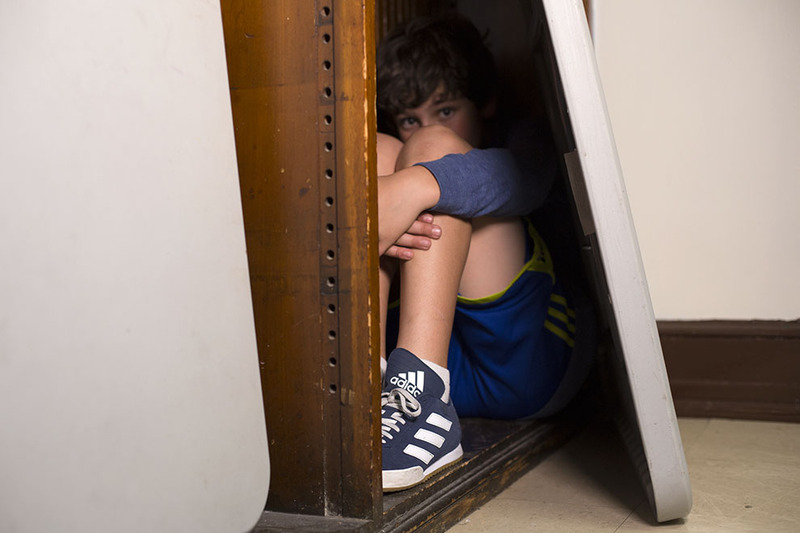 But if you’re safe and you do a lockdown and you stay quiet and hide, then it’ll probably go ok.
It’s so you can train to know how to hide from an intruder who came in the school. They just don’t have a good life and they don’t know what to do with it, or it could be their mind could act differently than other people’s. A certain disorder, they don’t know how to control it, or they have memory loss and they don’t know what to do. It’s probably not going to happen. It could, but I’m not scared. I mean, if it was happening, I’d be panicked, but I don’t think it’s too scary because it’s only a drill. I stand up and I do this and I be quiet. I feel scared. I feel like bad guys are in there. I don’t know what it is, so I just think about it, why they give me a lockdown drill, and I think it’s because bad guys are there. I imagine that they’re downstairs in the cafeteria, and the cafeteria is really close to our class. We just turn the lights off. We go behind the bookshelf and crouch. It’s for safety, like, I don’t know, random people coming into the school. The first thing that comes to my mind is, “What if this was real? What if there is an actual person trying to hurt me?” It makes me feel a little uneasy sometimes. Over the loudspeaker they say this is a lockdown drill, everyone in the corner. But I’ve never really experienced what if it was real—what would they say? I’ve seen stuff on the news, like kids being attacked by other students. It’s bizarre to think that could actually happen. We curled up in the place in the back of the room. It was squished. Everyone was squished. We had to be squished because then if it happens for real, nothing will happen then. They close the door, then they turn off all the lights, they lock the door, then we just hide somewhere. We don’t hide right in front of the door because if it was a real lockdown drill, they could see our faces through the window of the door. 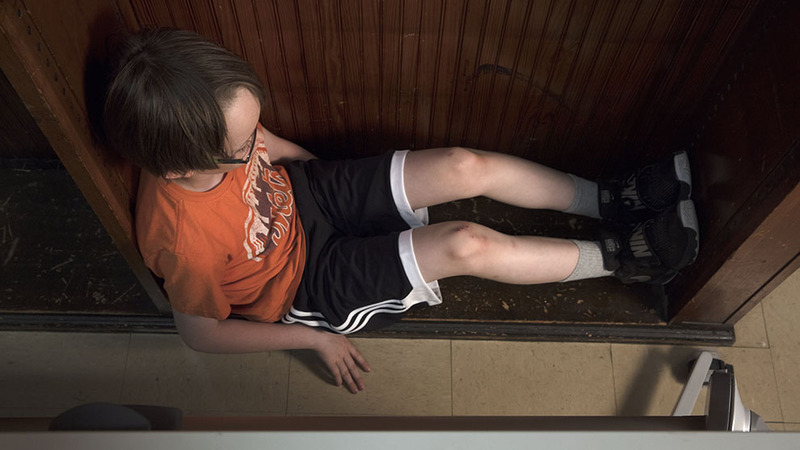 We hide in the closets, or under the tables, or under our desks. It’s when a person is maybe outside the building or inside the building, and they’re trying to kidnap you. I still feel kind of safe because it’s just a fake one, but I when I get reminded of real lockdown drills, I feel kind of scared. Also, if your teachers aren’t really good teachers and they don’t know how to defend their kids or keep their kids safe, then you could get maybe kidnapped easily. But sometimes I can feel safe because my teacher is right with me, and my whole class is with me. 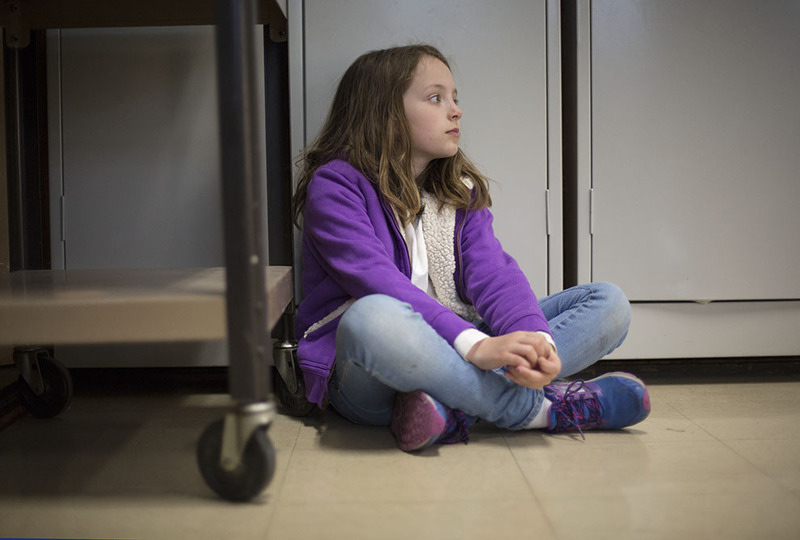 It’s when a robber or something dangerous like a wild animal comes in the building or outside near the school, and we would lock the doors and stay in a corner and be quiet. My teacher sometimes says we’re having a lockdown drill and that means it’s just fake, to practice, if something does really happen. You have to be quiet and not have a conversation with anybody and just sit there patiently. Because maybe the robber or somebody who is in the building would hear you. You just sit there. It’s boring. I’ve done one once or twice every year. 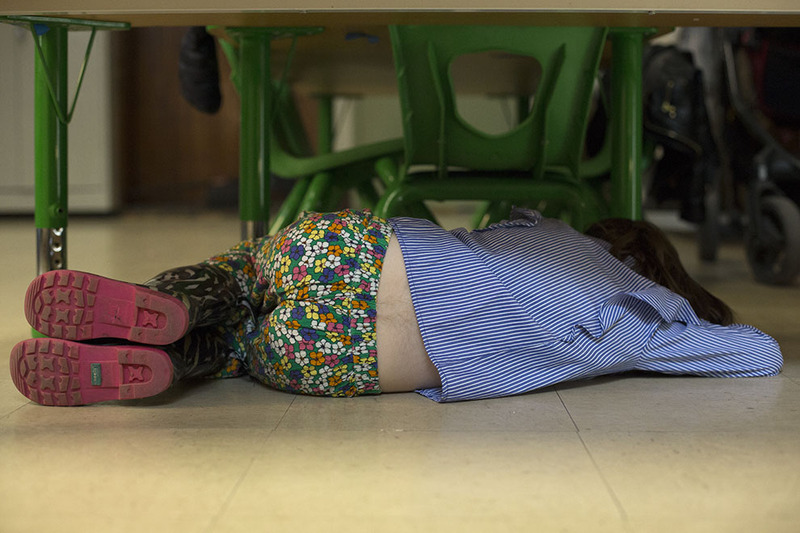 It’s kinda scary because everyone is kinda like, “Oh my god, is it a real lockdown drill?” Usually I get stressed. 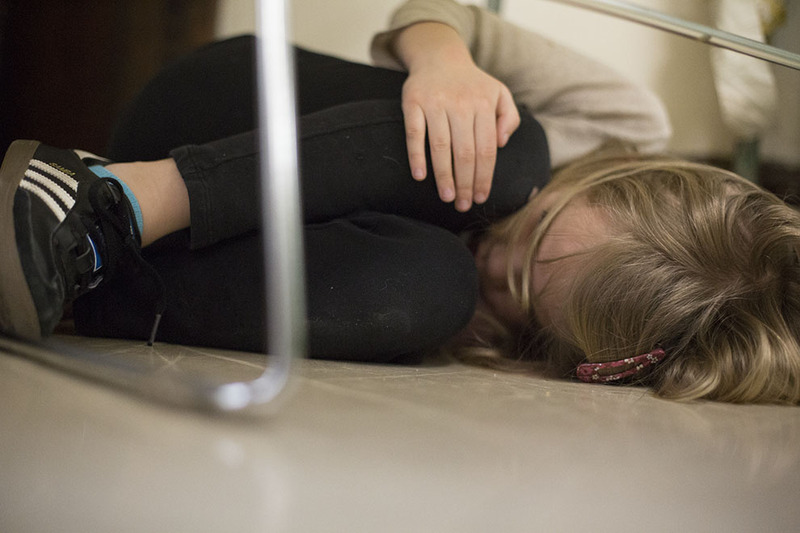 You are in the middle of some random subject, and then you hear over the PA system: This is a “soft lockdown drill” or a “hard lockdown drill.” You have to go somewhere out of sight, so if there was a threat they wouldn’t be able to see you, and you have to be completely silent. I try to make sure that I’m not next to any of my friends so I won’t get distracted. I feel safe because I know it’s not real. I’ve been doing them since Pre-K.